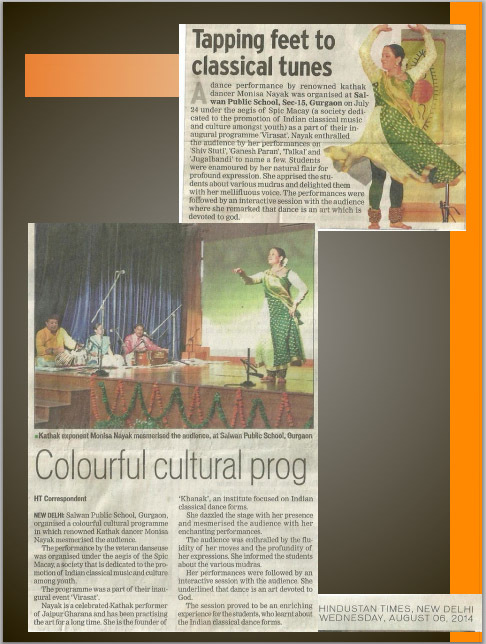 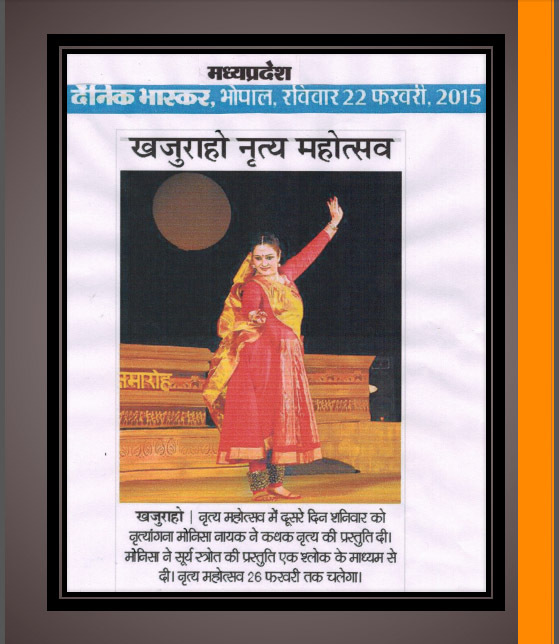 A solo Kathak Recital by Monisa Nayak in prestigious Khajuraho Festival-2015, organized by Ustaad Alauddin Khan Sangeet and Kala Academy, Madhya Pradesh. 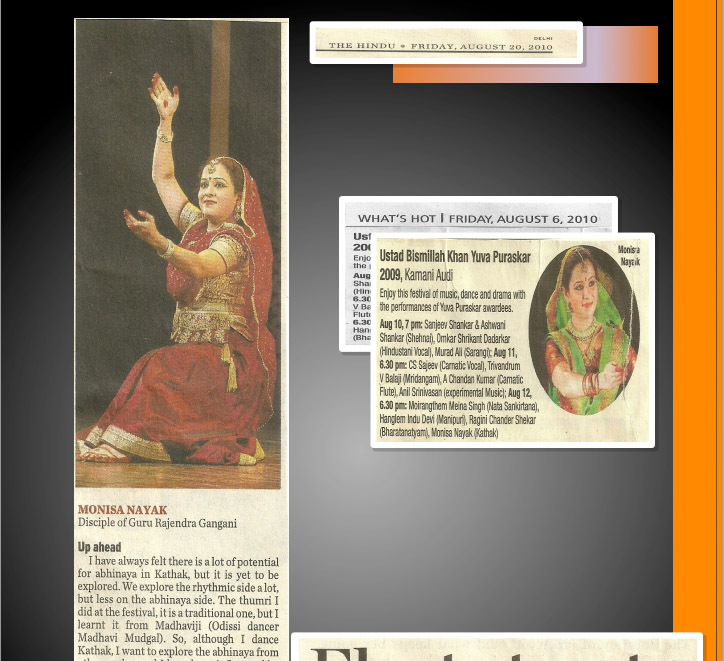 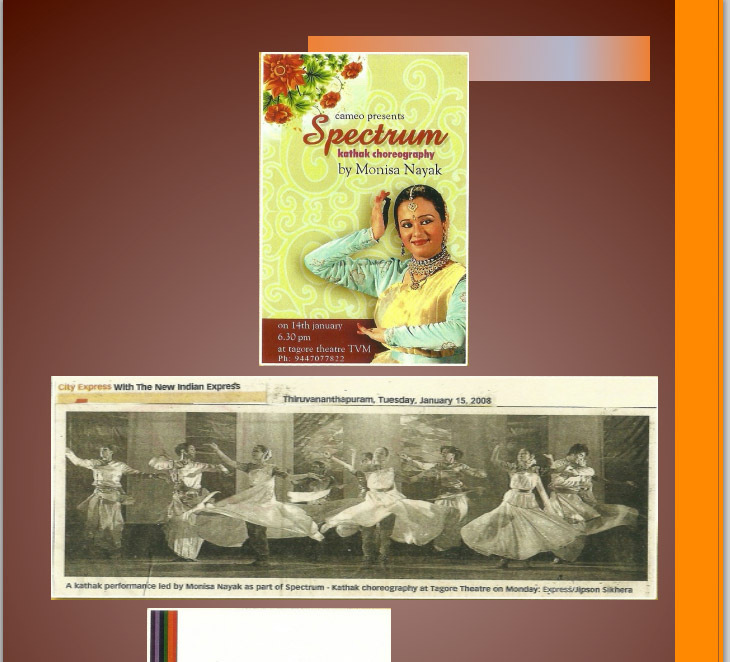 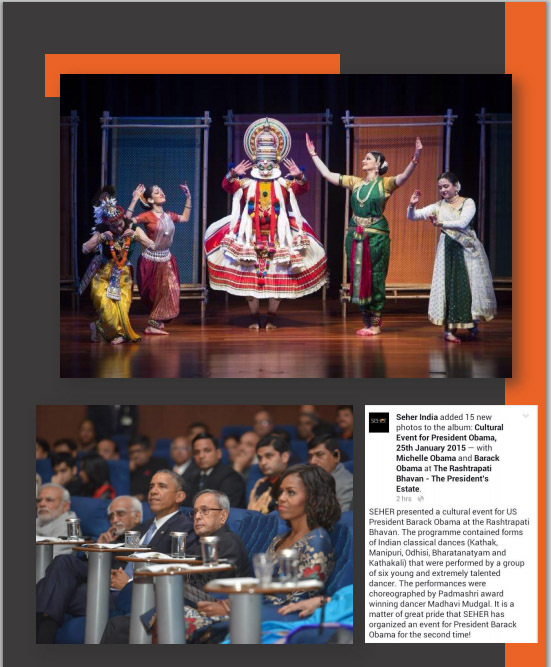 On the occasion of US President Mr. Barack Obama’s visit in India, Monisa Nayak performed Kathak in a dance presentation ‘Sankriti’, organized by SEHER and choreographed by Madhavi Mudgal. 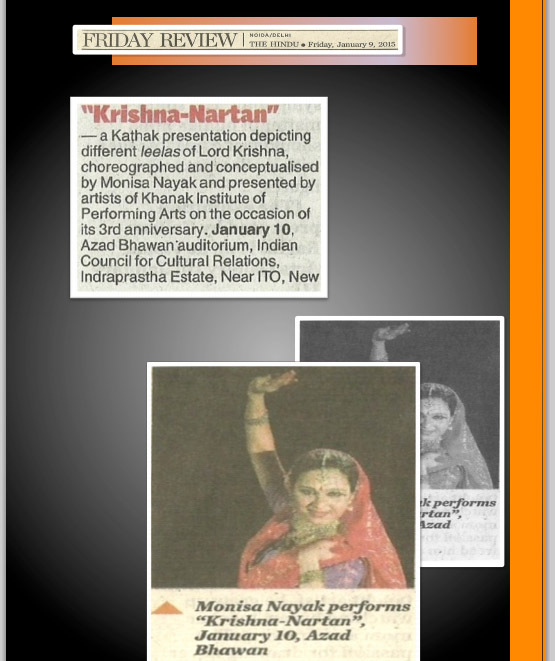 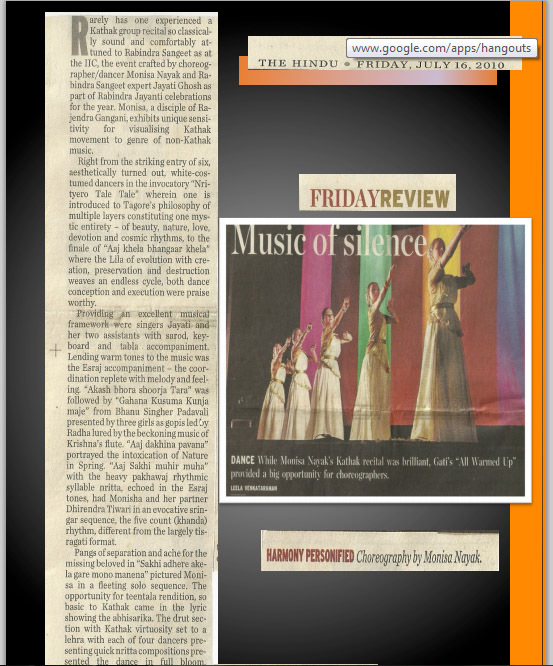 Khajuraho Festival …the audience was enthralled by the fluidity of her moves and profundity of her expressions. 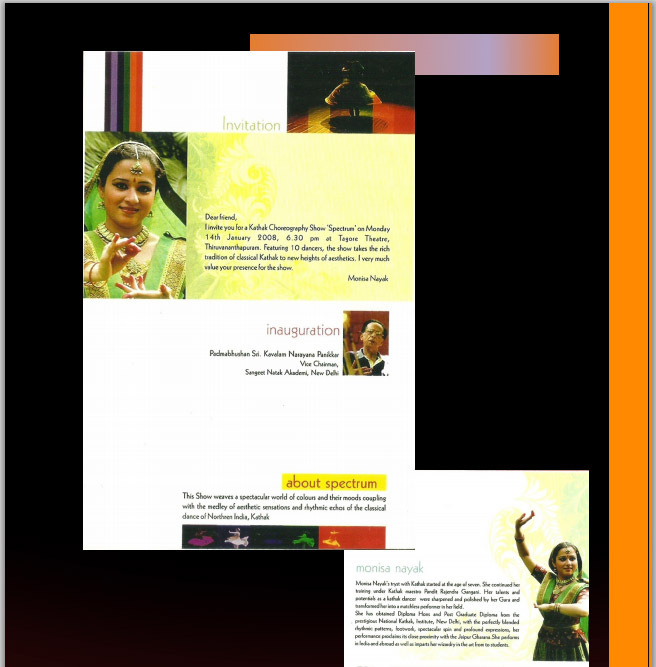 Rarely has one experienced a Kathak Group Recital so classically sound and comfortably attuned to Rabindra Sangeet as at the IIC, the event crafted by choreographer/dancer Monisa Nayak. 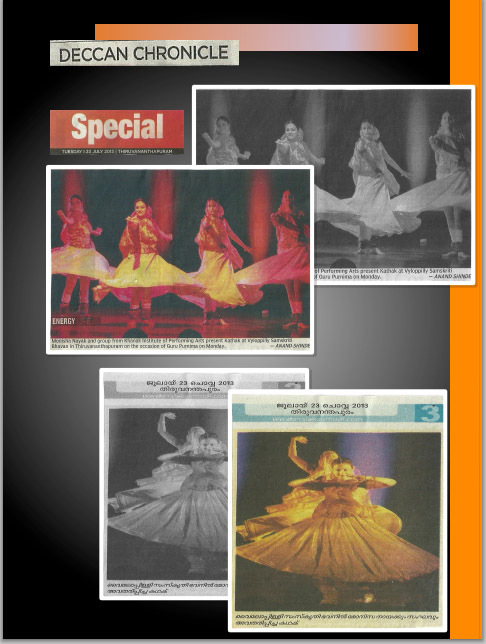 Tapping feet to classical tunes ..She dazzled the stage with her presence and mesmerized the audience with her enchanting performances. 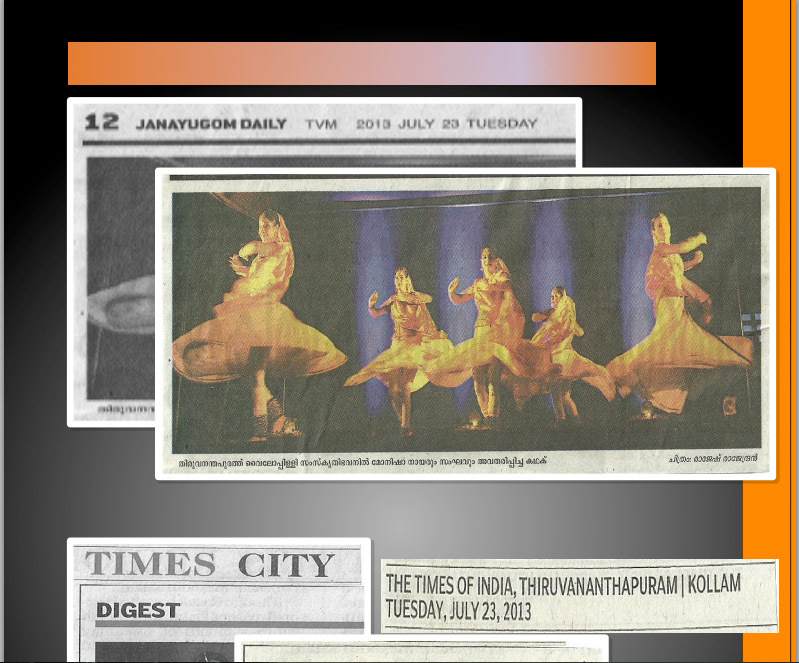 “SPECTRUM” …weaves a spectacular world of colours and their moods coupling with the medley of aesthetic sensations and rhythmic echoes of the classical dance of Northern India, Kathak..
Monisa Nayak and troupe from Khanak Institute of Performing Arts presented Kathak at Vyloppilly Samskriti Bhavan in Thiruvananthpuram on the occasion of Guru Purnima. 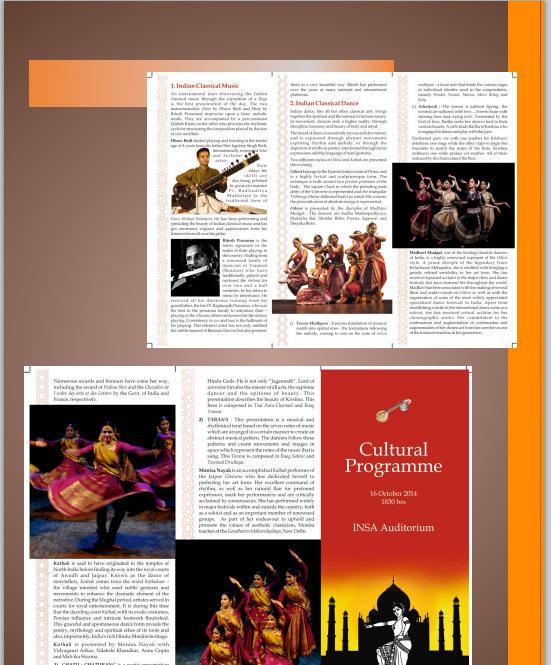 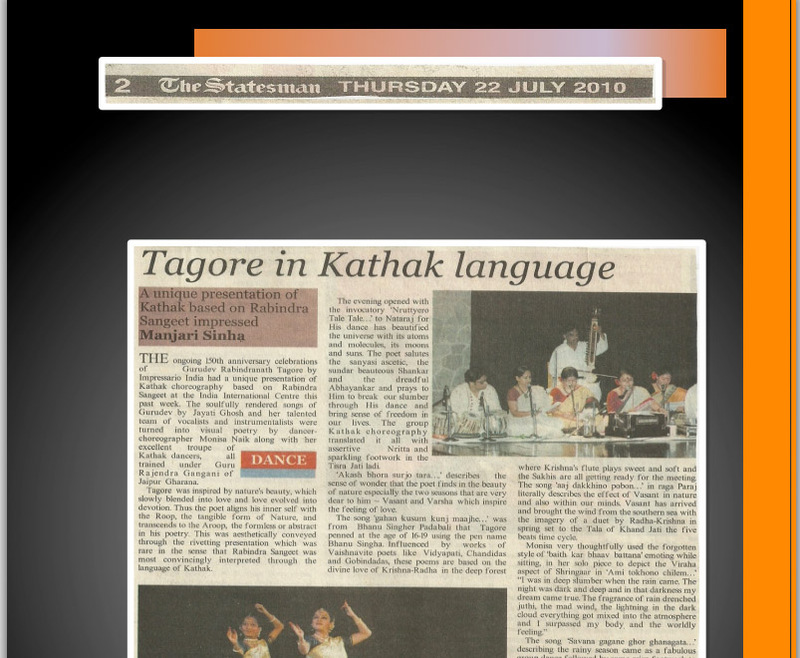 Tagore in Kathak Language ..a unique presentation of Kathak based on Rabindra Sangeet impressed.